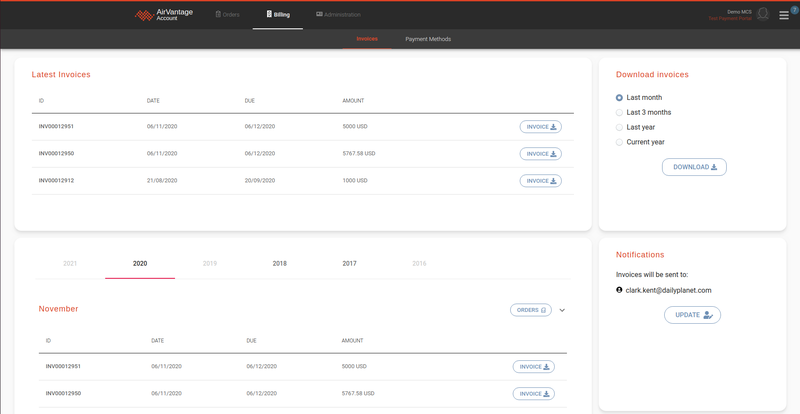 This topic details how connectivity is billed, where you can view your invoices section where you can view invoices history and explains the content of an invoice. 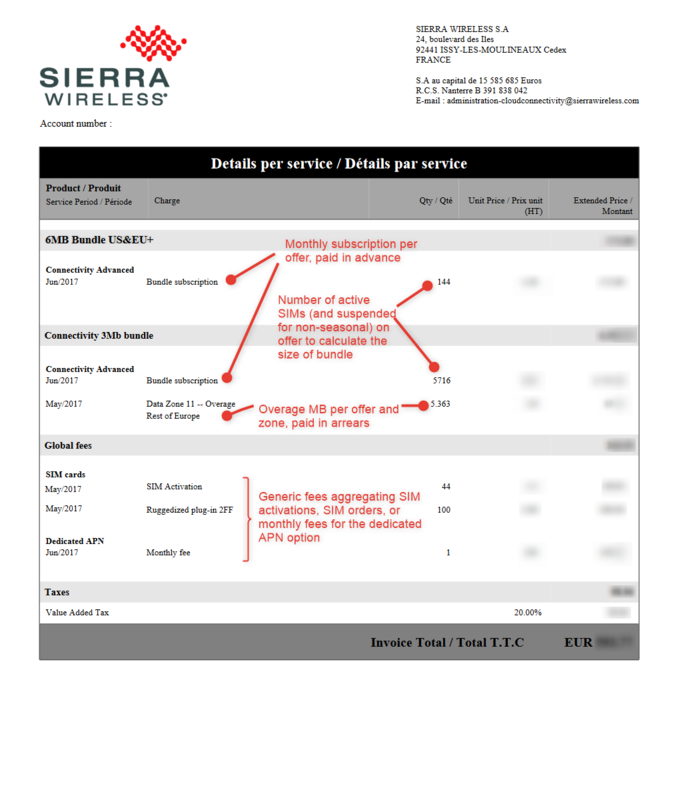 How is Sierra Wireless Connectivity billed? 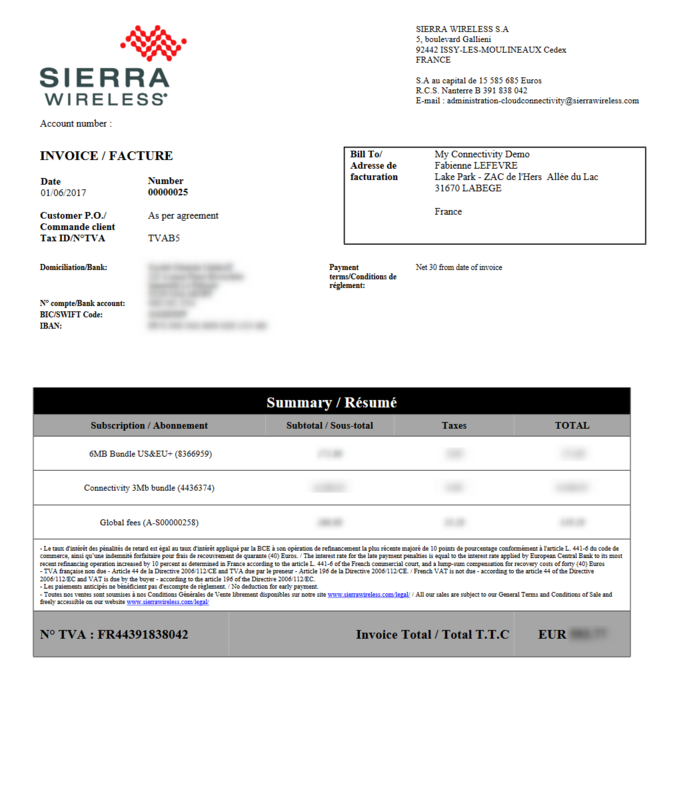 You will be billed for your connectivity on a monthly basis. The billing cycle starts the 1st day of the month and is always covering the full calendar month. It is the simplest model. There is a Monthly Recurring Charge (MRC) that is due every month based on the number of active and suspended SIMs in the account. On top of this MRC, you are charged for the usages that you are consuming. 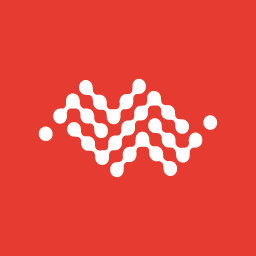 The monthly charge(s) for pay per use is computed based on the number of active and suspended subscriptions at the end of the month. There is no proration applied for subscriptions activated in the middle of the month. A bundle is an offer defined on a specific pricing zone that pools the usages of the subscriptions activated on it. 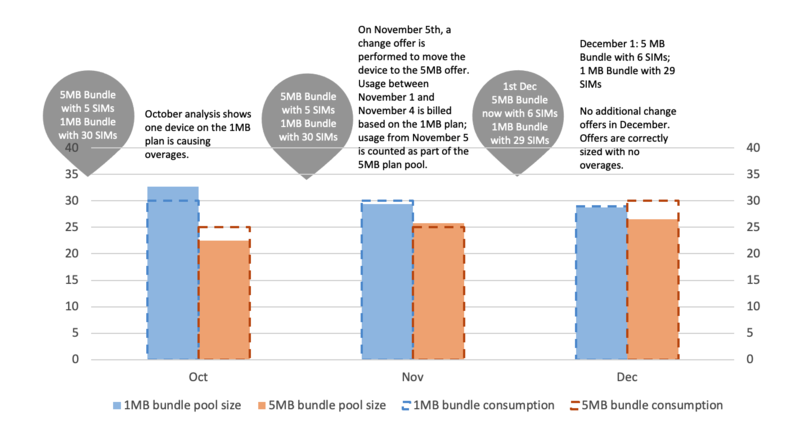 In bundled pricing, all active and suspended SIMs associated to the same bundle are sharing the same usage pool. Meaning that if a subscription is consuming less than its alloted usage, the usage can be consumed by other subscriptions of the bundle without being charged for overages. You will only start paying overages when the usage consumption within the bundle will exceed the size of the bundle computed at the beginning of the month. Each SIM can be associated to one single bundle defined on one specific pricing zone. When a subscription is activated on a bundle, it contributes to the total pool size by the volume of usages (data, SMS, Voice, USSD) defined in the contract. Those included usages are for the specified billing zone only. Overages to the bundle as well as traffic in other zones than the one coverred by the bundle will be charged as pay per use. The bundle size is computed based on the number of active and suspended subscriptions on the first day of the month. In case you activate new subscriptions in the middle of a month, they will start to contribute to the bundle size at the beginning of next month only. Please check First Activations How-to for more details and examples. Example: you have a 2MB bundle offer and you have 27 subscriptions activated on this offer. The 27 subscriptions will share 54MB of data. Once the 54MB of data have been consumed within the month, you will start paying overages. Usage fees Traffic charges generated from the last invoice date until the current bill date. Traffic fees are charged in arrears. If you have subscribed for a bundle subscription, traffic fees will be split between the bundle charged upfront and potential overages charged in arrears. You can view your list of paste invoices along with their associated price in the Invoices section. From this location, you can also download the invoice in PDF version. and second part details the split of the different charges for each offer, such as the monthly subscription fees of the next months given the number of SIMs on the offer + the potential overages for the previous month. You can find below an example of invoice, its details along with comments to help you understand each cost line. When you activate your first subscription, the size of the bundle computed on the beginning of the month is empty. The subscription will therefore be consuming on the basis of overages. Therefore you won’t pay for a complete monthly charge on the activation month but the fee will rather be considered as a pay per use that will reflect the consumption of the month. You won’t be penalized for end of month activations. At the beginning of the next month, the bundle size will be computed based on the number of SIMs that are active and suspended on the offer. The SIMs activated on previous month are now automatically contributing to the bundle. If you continue to activate more SIMs in the next month, they will first consume in the bundle corresponding to their offer. As usual, once the bundle size is reached, overages will be charged. Ordered SIMs are invoiced the month after the acceptation of the order. For each SIM activated on a test ready mode offer, you will be charged for an extra TRM activation fee at the time the SIM will switch from Test Ready to Active. The extra TRM activation fee is a one time charge per SIM. All usages consumed while the SIM is on offer A, i.e before the change of offer will be counted on the offer A bundle. All usages consumed while the SIM is on offer B, i.e after the change of offer will be counted on the offer B bundle. At the beginning of the next month, the bundle size (or monhtly subscription for pay per use) will be re-evaluated based on the updated number of SIMs in each offer. In this case, bundle A will count one SIM less as the SIM card will now contribute to bundle B. An offer is defined as seasonal if it mentions a specific MRC for suspended SIMs in the contract. suspended SIMs will not contribute to the bundle size, meaning that the bundle size in a seasonal offer is computed based on the number of active subscriptions (and only active ones) on the first day of the month. the end of engagement period for the suspended subscriptions will be postponed accordingly. The engagement period being in that case the number of months for which you have paid the regular MRC for the subscription. A system on a seasonal offer is not allowed to be suspended for more than 12 months in a row.